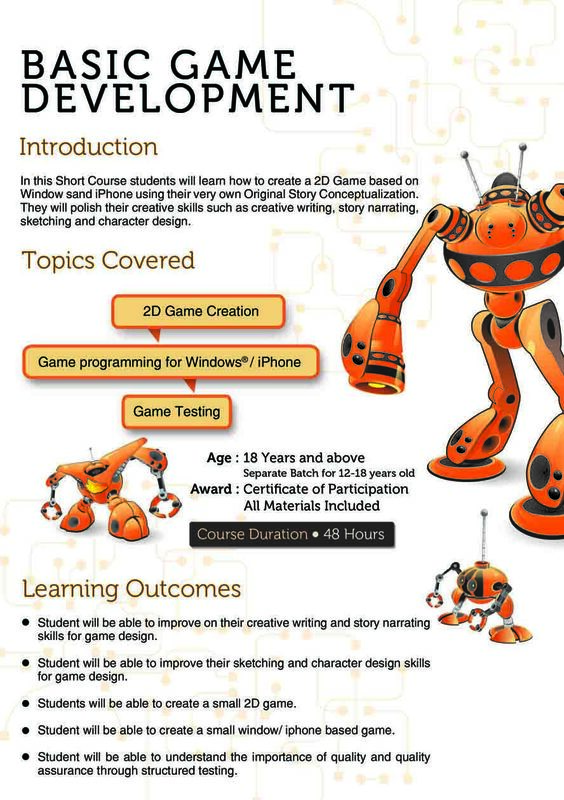 In this Short Course students will learn how to create a 2D Game based on Window sand iPhone using their very own Original Story Conceptualization. They will polish their creative skills such as creative writing, story narrating, sketching and character design. Ability to improve on creative writing and story narrating skills for game design. Ability to improve their sketching and character design skills for game design. Ability to create a small 2D game. Ability to create a small window/ iPhone based game. Ability to understand the importance of quality and quality assurance through structured testing.